[Matt's Messages] "The Heart of Gossip"
Gossip is an addiction. . . I was gainfully employed as a teacher in a school district. I liked my job and liked all the people I worked with… But as time went on, things got tougher with certain personalities at work. For several months I kept my mouth shut and simply listened to the talk about campus. When asked a direct question about another teacher, or our supervisor, whom my colleagues did not like, I would shrug and offer up that I had no opinion. Mind you, I did not stop any gossip. Instead I was quite intrigued to find out what the ‘scoop’ was around town. This was just the beginning for me…listening to the gossip without protesting. It wasn’t long before I had my own negative encounter with our supervisor. By this point, I had made several friends in the department and felt comfortable going to them with my issues. I wish I could say that I strictly presented the facts in a non-emotional way, but I never did. I always let my personal feelings get involved. As a result, gossip started. Once this little tiny bit of juice spilled from my lips, it kept flowing: day after day, month after month, until I couldn’t stop doing it. Even after the Holy Spirit convicted me that what I was doing was wrong, I still couldn’t stop. It became a very difficult addiction to break. My gossip finally caught up to me and got me in trouble with the person I was speaking out against all this time. Even after a confrontation it was difficult to stop. The confrontation itself became a juicy piece of gossip to share with others. As I type this I remember how much I hated myself then and still hate myself now for doing and saying what I did. As a teacher, I should have known that one negative comment about someone takes over a hundred positive comments to rectify it. I have since apologized to my supervisor, but unfortunately the only way the gossip stopped was when I had to quit my job because we were going to move across the country. With no one to gossip with I was able to finally break free. We’re going to jump all over the Bible today, but we’re going start in Matthew 12. I’m sharing what I’ve been learning in my doctoral studies on the problem of gossip and the answers that are in the Bible. Thank you for your feedback from last week’s message. It was very encouraging and very helpful. Keep it coming. Rick Sipe told me after church last week that he liked what he heard, but if he thought of anything wrong with it–he’d be sure to spread it around town! And I love your questions that are coming in after last week’s message. Please keep them coming, too. 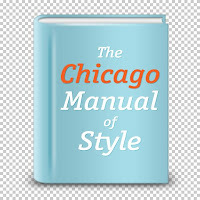 If what I say doesn’t make sense or raises a question for you, that’ll be really helpful for me as I continue to develop this material–and eventually, Lord-willing, put it into a book. Last week was “Recognizing Gossip.” Being able to tell what was sinful gossip and what wasn’t. And we learned a simple, yet functional, definition of sinful gossip. That’s simple, but I think it’s helpful. Behind Someone’s Back...The person whom the story is about is not present. And I said last week that today we’re going to focus on that last phrase. Gossip comes out of a heart that is bad. Because all bad words do. Jesus says so. Look down at Matthew 12:33-37. Jesus is denouncing the Pharisees. They have just accused Him of being in league with Satan. Those are bad words, if I’ve ever heard any! “Make a tree good and its fruit will be good, or make a tree bad and its fruit will be bad, for a tree is recognized by its fruit. You brood of vipers, how can you who are evil say anything good? For out of the overflow of the heart the mouth speaks. The good man brings good things out of the good stored up in him, and the evil man brings evil things out of the evil stored up in him. But I tell you that men will have to give account on the day of judgment for every careless word they have spoken. For by your words you will be acquitted, and by your words you will be condemned." Jesus has some strong words about bad words, doesn’t He? They come from the heart. Verse 34. Why do we gossip? Because there is something bad going on in our hearts. If the heart of the tree is healthy–the root system and trunk of the tree is healthy–then the fruit of the tree will be good, too. But if the heart of the tree is bad–the root system and the trunk is bad, then the fruit will be worthless. And you can tell what’s in the heart by what comes out in the fruit. I have a history at this church of pouring things out on the stage. Why is there now water on the floor? We could say a lot of things that are true. But why is there water on the floor and not Pepsi or Kool-Aid? Because I would get in major trouble with Cindy Green if it were Pepsi or Kool-Aid! Fundamentally, there is water on the floor because there was water in the bottle. So, the most important thing to understand about gossip is where it comes from. Good gossip (if we can call it that, that is good small talk, good talk about others) comes from good stored up in the heart. Evil gossip, sinful gossip, comes out of the evil stored up in the human heart. Even for believers in Jesus who now have a new heart–the remaining stain of indwelling sin lingers within (we call it “the flesh.”) and continues to create evil motivations. This isn’t the only time that Jesus talks like this. And it’s really important to get a handle on that because we’re going to be held accountable. Did you catch that in verse 36 and 37? Not that your words could save you, but your words are fruit (evidence) to show what is genuinely in your heart. Just think about verse 36 for one second. Giving an account on the day of judgment–not just for every malicious word that I’ve spoken–but for every careless word. Every aimless word. Every idle word. Words are serious. They don’t just go into the air and then drift away. They are all remembered. God is listening. So, today, I want us to think more deeply about the overflow from heart to gossip. I want us to think together about the connection between our heart’s motives, our deepest driving desires and the words that come out of them. Because of out of the overflow of the heart, the mouth speaks. And here’s how I want to do it. I want to introduce you to five different kinds of gossips. That is, five kinds of people who fall into the sin of gossip. They are gossipers. Five types of gossipers. There could be many more, but we’ll just do these five today. The book of Proverbs, especially, likes to categorize people into caricatures so that disciples can recognize them when they run into them–or when they are acting like them. On Sesame Street that was policemen, firemen, meter readers, and traffic cops. But in the Proverbs, it’s the sluggard, the wayward wife, the hot-tempered man, the fool, and at least two kinds of gossips. In fact, most of the time, when the word “gossip” appears in the Bible it is a person (a gossip) more than it is what they say, (“the words of a gossip”). So, I want to introduce you to 5 different types of gossips and talk about what kind of heart motivations might be driving them. And then, we get to think about how the gospel of Jesus Christ intersects those heart motivations and helps us to resist gossip in all its forms. Because the good news is that even at the heart level gossip can be withstood. The Bible says, “[God’s] divine power has given us everything we need for life and godliness through our knowledge of him who called us by his own glory and goodness. Through these he has given us his very great and precious promises, so that through them you may participate in the divine nature and escape the corruption in the world caused by evil desires” in the heart (2 Peter 2:3-4). In the precious promises of God and our knowledge of Jesus is everything we need for life and godliness and escaping the corruption of gossip. Turn with me to Proverbs 11:13. Proverbs 11:13. Pew Bible page #635. Proverbs 11:13. The Hebrew word for “gossip” or “talebearer” in Proverbs 11:13 is a different word than the one we saw last week in Proverbs 26:22 and 18:8. And it basically means a spy. The Hebrew dictionaries define rakil as a peddler (of secrets), a huckster, a hawker, a deceiver, a defamer, a spy. A rakil is someone who goes about from place to place spying things out and exposing secrets–often to the highest bidder. We might call him an informer. This is somebody who loves to get the dirt on someone, and then use it to their own advantage. They might seem like it, but they are not trustworthy. Don’t talk to the spy or your secrets will be the next ones to be revealed. Right? And don’t be that spy, either. Now, what could be the motivation of the spy? What kind of a bad heart would bear that kind of bad news behind somebody’s back? Well, it could be a lot of things. People are complex and have many different motivations, often mixed together, for what we do. But it seems here like the main motivation is power. A hunger for power. There’s something that a spy wants. And they’ll use your secrets and mine to get it. Now that power might be just mischievousness. They might enjoy making trouble. They might just like the power of knowing something they shouldn’t. Or they might know that they can get something even better by trading this secret for another one. I think we see this a lot with teenage girls. Am I right on that? They trade gossip about each other to maintain power over each other in their cliques. The spy has a heart that lusts for power. Well, if it’s power you want, then what you really want is Jesus. Because the power of gossip enslaves, but the power of Christ emancipates. It frees you. Satan lies about His power. It is derived and it is waning. He is a defeated ruler on the way out. But Jesus’ power is the power that brought Him back to life after He was crucified. And it is eternal and available through the Holy Spirit of God. If power is your temptation, then pray along with Paul the prayer of Ephesians 1:18-21. That’s gospel power. And it’s better than anything gossip promises. And how did Jesus use His power? He used it in love. He was a trustworthy man. Someone you could entrust your deepest, most shameful secrets to. Turn with me now to Proverbs 16:28. Proverbs 16:28. That’s Pew Bible Page #641. Now, that’s a different Hebrew word for gossip. The same one that we saw last week in 26:22 and 18:8. It’s not rakil. It’s nirgan. Both mean “gossip” but this is the kind of gossip that comes from a grumbler. The King James uses the word “whisperer” here. The root word is the same word used to describe the people of Israel when they grumbled in their tents. Did they go out and directly talk to the Lord about their problems? No, they hid in their tents and grumbled about Him in secret. Of course, nothing is secret with God. The grumbler complains. The grumbler criticizes. The grumbler is upset about something, and misery loves company–so they talk about somebody behind their back. “I just needed to ‘vent’ to someone.” When all it really is is sinful gossip. There is no constructive purpose, no love in the heart. Just grumbling. Do you see the grumbler in your minds’ eye? Have you ever been the grumbler? I know that I have! The anonymous writer of that first story I read to you today? It started with grumbling, didn’t it? They didn’t like their supervisor, so they talked about him or her behind their back. This is often where jealousy comes in. I got an email from a pastor friend a couple of weeks ago asking about my project and wondering does all gossip come from jealousy? Because it seemed to him that most, if not all, of the gossip that he encounters comes out of a jealous heart. 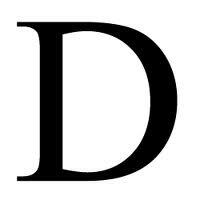 A job, a position, a girlfriend, a boyfriend, a car, happiness, whatever. And you know what happened? Two of the people that this person talked about stopped interacting with them altogether. They wouldn’t even say hello. It took some humbling apologies and some amount of time before the relationship was restored at all. The gospel remedy to grumbling is contentment and thanksgiving. It’s not bad to want something, but it’s terrible to want something too much. And isn’t that what jealousy is? Christians need to cultivate a heart of contentment with what we have and thanksgiving for what we’ve been given. Grumbling gossip feels good (even justified and righteous), but it’s NOT good. Contentment is counting your blessings and knowing that if you have Jesus Christ, you have everything. Isn’t that what we saw in Philippians 4 on Mother’s Day? This one is like the grumbler, but it’s more active anger, more hateful. And the water inside the bottle is the water of revenge. Backstabbing gossip overflows from a heart bent on revenge, on retaliation. The backstabber engages in malicious gossip. Truly malicious. There is a malice in the heart of the gossiper, a desire for the target of the gossip to be hurt, to experience pain. Now, it might be by spreading lies. We saw that last week. We call that a smear campaign. This is the stuff that political campaigns are made of. I read a whole book on gossip and politics this Spring. It made feel all dirty when I read it. I wanted to take a bath after every chapter. And it’s not gotten better in our time. It might be spreading lies. It might also be spreading truth to harm others. Love covers over the warts in someone’s reputation if at all possible. Backstabbing is an age old problem. Turn to Psalm 41. Pew Bible page #556. Psalm 41. I was telling you about this last week. King David was very sick and it brought out the gossip of His enemies. Look down again at verse 5. “My enemies say of me in malice, ‘When will he die and his name perish?’ Whenever one comes to see me, he speaks falsely, while his heart gathers slander; then he goes out and spreads it abroad. All my enemies whisper together against me; they imagine the worst for me, saying, ‘A vile disease has beset him; he will never get up from the place where he lies’” (Psalm 41:5-8). And now go down to verse 9. That’s betrayal. That’s treachery. That’s backbiting. That’s backstabbing. Now, we’re not sure exactly who David is referring to here, but we know how the Lord Jesus used this very Psalm about Himself, don’t we? Jesus quoted Psalm 41:9 at the Last Supper with Judas. Jesus knows what it’s like to be betrayed. This kind of malicious gossip shows up all through the Bible. If I had time, I’d take you to 2 Corinthians 12 to show you how it was ripping apart the church in Corinth, and I take you to 3 John, verse 10 to show you how a man named Diotrephes was maliciously gossiping about the apostle John. Where does this malice come from? Well, again, the heart is a complex thing. So it is possible to understand, to some degree, why we do what we do. And it seems to me that the water inside of backstabber’s bottle is the water of revenge. It’s anger to the point where you want that other person to pay for it. And gossip is a delicious way to do it. Because they don’t even know (until it’s too late) what’s going! What does the gospel say to backstabbers? As true as that is, it doesn’t go very deep down into the heart. The gospel says to backstabber, justice will be done. But you need to leave it in the proper hands. Here’s why. Because God will take care of it. On His time-table and His own way, but perfectly. Justice will be done. Romans 12 says, “Do not take revenge, my friends, but leave room for God's wrath, for it is written: ‘It is mine to avenge; I will repay,’ says the Lord. On the contrary: ‘If your enemy is hungry, feed him; if he is thirsty, give him something to drink. In doing this, you will heap burning coals on his head.’ Do not be overcome by evil, but overcome evil with good” (Romans 12:19-21). Only a Christian can truly do that. Because we know something about justice: that every wrong will be paid for either at the Cross of Jesus or in the eternal judgment of Hell. And that can change our hearts. It can make it possible for us to overcome evil with good and not take revenge. Do you see how the gospel intersects with the heart of the gossip? It’s one that I’ve heard from a number of you. The chameleon is the person who goes along with gossip to try to fit in with the crowd. If you’re a chameleon and you’re talking with the spy, you’re under a lot of pressure to share some tittle tattle yourself, aren’t you? What’s in the heart of the chameleon? The Bible calls it, the fear of man. A chameleon gossip is worried about what other people will say about them, do to them, or think of them. They are afraid of being excluded. But the gospel speaks to that, too! It says fear God, not people! If my mind becomes full of who God is (and God is holy and omnipotent and awesome and...my Father. He’s FOR me like no else is. I am included where it counts the most), then I won’t worry about what other people might say, do, or think! Next week, we’re going to talk about the judge. Because most sinful gossip includes sinful judgments about others. But we’ll save that for next week. Here’s our last type of gossip for today. And this is the one that I think almost all of us can relate to personally. This is the person who is idle (who isn’t engaged in purposeful business). This is the person who likes to engage in other people’s business. This is the person who wants to be entertained. They gossip for titillation and living vicariously through the stories of others. Turn with me to 1 Timothy chapter 5. Paul is explaining to Timothy what to do about the widows. They had a list of widows that the church cared for. But you had to be a certain kind of widow to make the list. Basically a godly one. But also an older widow. If you aren’t busy with productive, purposeful godly activity, you can easily get sucked into being a gossipy busybody. Now, this is not just a woman thing! If I had time, I’d take you to 1 and 2 Thessalonians to show you how men get into being busybodies themselves when they aren’t working. This is not a guy or gal thing. This is a sinner thing. Here’s where boredom becomes a key factor. Escape from boredom is a major heart motive for gossip in our culture. That’s why there are gossip columns in the newspaper and gossip shows on television and gossip blogs with the latest information about Lindsey Lohan or Arnold Schwarzennager or whomever. Escape from boredom is often the water in the bottle for busybody gossip. “It’s not malicious gossip!” we say. But it isn’t love either, is it? I’ve been thinking a lot about stupid people recently. You know what I mean. The stupid, shamelful things that people do. We love to talk about stupid people. It makes us feel good about ourselves to think how stupid other people are. The stupid people of the world do not exist for my entertainment. That’s not how God treats people, is it? God loves people. And treats them with much more mercy than they deserve. God loved me. And I’m a very stupid person. But, in love, God sent His own Son to die for this fool and gave me His word and His Spirit to make me wise. The gospel escape from boredom is active love, active service, active mercy for other people–including those who do not deserve it one bit. Paul tells the young widows to marry and have children. Not that marriage is an antidote to gossip. But it is an antidote to being idle. Paul tells idle busybody men in 2 Thessalonians to get a job. And if they don’t they shouldn’t eat. And the rest of the church should keep away from them. To mind their own beeswax. To get busy for their families and for the Kingdom. Do you see what we’ve done here today? For every kind of gossip (and we’ve really just scratched the surface), there are heart motivations that are driving the gossiping. And for everyone of those that is bad, there is a remedy in the gospel of Jesus Christ. And that’s true, not just for gossip but for every sin! The truth of the gospel, the promises of God, knowing Christ in personal relationship, the power of the Holy Spirit–all of this is enough to change our hearts so that we can resist gossip in all of it’s forms. I have the ability to make something that is relatively easy and simple into something hopelessly complex and difficult. My wife agrees with me. "You sure do!" she said today at lunch. "You are a super-hero! You're MY super-hero!" Thanks, Honey. Of course, it's more like an evil super-villain. I think I'll call myself, "Difficultor!" With my powers of complexitation and obscurantism, I leave mass destruction in my wake. Yes, I'm talking about sermon-writing. Pray for me today as I try to re-simplify what I already know to be simple to share with the people of God tomorrow--something helpful and edifying. Listen to Sunday's message online. The more I study it, write about it, and talk about gossip, the more it seems inevitable and unstoppable. Gossip is ubiquitous. It's going to happen. 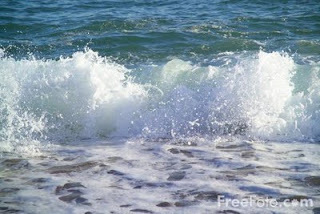 Trying to resist gossip on a grand scale, feels like standing on the beach and talking the surf into stopping. It's not going to happen. And yet...isn't that what Christians are? Those who go against the tide? People whose life flows in a different direction than the world's. And we do that, knowing that there is coming a day when the glory of the Lord covers the earth like the waters cover the sea (Hab 2:14) and when there is no sea (Rev 21:1)--meaning that there will be no chaotic, over-powering evil. Because there will no longer be any bad news! This is the T-shirt that my wife and kids got me for my birthday this month. Many of you have graciously asked me about my doctoral project which includes a ministry book on the subject of resisting gossip. Well, for the next several weeks, I’m going to tell you about the book and share with you what I’ve been learning. You might wonder why I’ve picked this topic. And I promise not to gossip about any of you during this series. However, gossip is a problem that we all experience. No one is immune from the temptation to gossip. And no one is immune from the effects of gossip. And yet, there hasn’t been very much teaching on the subject for Christians. Gossip is an everyday problem yet there isn’t much in the way of everyday help from Christians resources to help followers of Christ to resist it. So, that’s why I picked gossip, and what I’ve been learning, I think, is very helpful. So I’m going to test-drive it with you. You’re the guinea pigs. You give me feedback about it, and then we’ll put into a book to help others. Okay? What do you think of when you think of gossip? It says a lot in just one picture. A woman tells her friend a story, about someone. She tells her friend. Who tells her friend. Who tells her friend. And they all laugh about it. Until it gets back to the subject of the gossip. He’s not so happy about it. And he confronts the original lady. Haven’t we all been in one of those positions at one time or another? The speaker, the listener, the subject of the gossip. Some of those positions are more fun to be in than others. 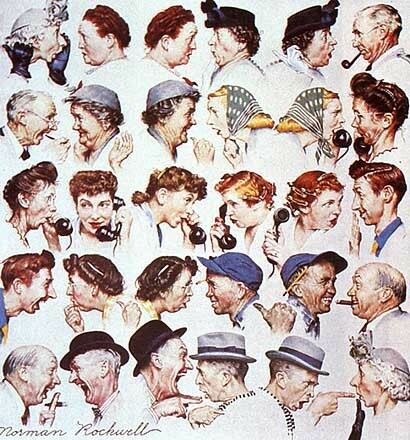 Norman Rockwell’s painting seems pretty harmless. But gossip, at least sinful gossip, is not harmless. It’s harmful. It’s dangerous. It’s evil. Listen to the Apostle Paul put it into a list of sins. This is Romans chapter 1. Whoa. Being a gossip makes it into the list with “every kind of wickedness, evil, greed, and depravity?” It makes the list in between murder and God-hating, and Paul says that those who do such things as gossip deserve death! Sinful gossip is not just a little neutral thing. So, that’s why we’re going to talk about it for the next few weeks and develop some biblical strategies for resisting it. The first step is to recognize gossip. If we’re going to resist gossip, we need to have a pretty good definition in our minds. How do you recognize gossip? One of the reasons why I tackled gossip as my doctoral problem was because I wasn’t exactly sure what was gossip and what wasn’t. When is it just “small talk,” and when is it sinful gossip? Or Is it...Who says it? Or is it...to whom its told? Well, isn’t it okay if you’re just telling your Mom? Your wife? Your sister? Your pastor? The hardest part about recognizing gossip is that it doesn’t come with a warning label. Wouldn’t it be great if this would flash across above the heads of people you’re talking with? I’m not sure I’d like because it might show up over my head. No, normally, there you are just minding your own business and this juicy piece of news about someone else just comes right across and asks you to swallow it. Look down at Proverbs 26:22. Choice morsels are things that you want to swallow up greedily. They’re the best, most addictive, things to eat. They’re like Doritos put on the kitchen counter. What happens if mom puts some Doritos (or substitute your favorite snack here) in a bowl on the counter in the afternoon? They’re gone, aren’t they? Like that! My wife has got wise to this and puts out a bowl of apples on the counter or carrots. And they are gone long before supper. But let’s say they’re Doritos. What happens if you eat the whole bag before supper? You feel it right here. My grandmother used say, “Once across the lips, always on the hips,” right? Gossip tastes great, but it will poison your heart. Now, again, what is gossip? After a thorough study of the whole Bible, and every time the Bible talks about gossip, and uses a word that is translated “gossip,” and every time the Bible talks about gossip without using the word, I’ve come up with this definition that I hope will help us to identify sinful gossip when we hear it ... and/or when we are tempted to pass it on ourselves. SINFUL GOSSIP IS BEARING BAD NEWS BEHIND SOMEONE’S BACK OUT OF A BAD HEART. You can see that this working definition has three parts to it. #1. SINFUL GOSSIP IS BEARING BAD NEWS. Gossip is a talking thing. Gossip is sharing. Gossip is communicating. It’s a talking thing. Now, that goes both ways. Sinful gossip is both talking and listening to this kind of bad news. So gossip is often sharing someone else’s secret. Have you ever done that? Told someone else’s secret? Have you ever had that done to you? Someone told your secret? But it’s not just talking. It’s also listening. So, sometimes, even just receiving that juicy piece of gossip without saying something or stopping the conversation is sinful, too. Almost as sinful as speaking it. Listening is also bearing the bad news. And of course, this bearing of bad news isn’t just talking out loud. You can gossip online, right? There is this thing called “Gossip Book,” right? I’m just kidding. I mean Facebook. Like most things, it can be used for great good (and I use it), but anything that can be used for great good can be used for great evil. Especially if it involves lots of words! So sinful gossip might be pressing the “enter” key on your computer. Or the publish button your blog. Or the share button your Facebook page. Sinful Gossip is #1. Bearing Bad News. Now that news (that story, because it’s almost always a story) can be bad news in three different ways. First, it might be “bad information” meaning that it’s false. If you know that it’s false, then it’s not just gossip, it’s also slander. But sharing lies about someone behind their back is gossip. But you and I can think of a lot of worse lies to pass around about someone–and what would that do their reputation? Sticks and stones may break my bones, but words can really hurt me! Have you ever had your reputation hurt by the bad information that someone spread about you? At one time, I heard through the grapevine of our little community a rumor was circulating that I had left my wife. This was laughable to anyone that knows us (I couldn’t live without her! ), but I have no idea who started the rumor or who might have heard it and believed the lie. Proverbs 16:28 says, “A perverse man stirs up dissension, and a gossip separates close friends.” If you want to stay close to your friends, don’t gossip about them. But the bad information might be something that you think is true but isn’t. That’s just as bad. That’s also sinful gossip. Or it might be unverifiable. Or rumor. Or hearsay. A second way that this news could be bad would be “bad news about someone” meaning a story about something bad that they have done. But that doesn’t mean that you and I need to be talking about it. Let’s say that one of your friends recently did something bad, and you heard about it. Maybe they even were the one that told you. They cheated on their income tax. They lied to their boss. You and I don’t have to talk about it with our friends. Ooh. They are hard to resist. Now, some of you have the King James Version in front of you, and you’re scratching your heads at what I’m saying is in verse 22. It’s the exact same thing as Proverbs 18:8. God thinks this is so important, He repeats Himself in the Proverbs. The reason for the difference is a trickiness in figuring out what the Hebrew word is here. The translators of the King James Version thought that the root word was a Hebrew word that mean to hammer or strike something (halam). And that’s true, too, isn’t it? The words of a gossip are harmful. They wound you. They are a kick in the gut. But most scholars today think that a different Hebrew word was the root word for this one, laham (not halam) a word that means savory or delicious morsels that you can’t hardly resist and want to swallow right down. My wife makes a candy called “Buckeyes.” They are like a homemade Reeces’s Cup but better. Chocolate on the outside and sweet peanut butter on the inside. I just asked her to make some for me this week. Oooh! She almost has to lock the cabinet after making them. If she offers me a Buckeye, I don’t care how many platefuls I just ate and how full I am. I’ll find the room! Of course, they didn’t have confections back in Solomon’s day. So, this was probably more like a choice piece of meat. My son, Andrew, when the roast beef is going by, says, “Can I have piece with some fat on it?” That’s the choicest morsel. And it’s hard to resist. Bad news, shameful news, is like that, too, for you and me. It’s addictive. But it’s not good for us. Some foods make us sick to the stomach, but gossip makes us sick to the heart. There is something wrong with us that makes us want to know and talk about the shameful things other people do. Meaning, not that they did something shameful themselves, but that something bad is projected to happen to them. In Psalm 41, King David got really sick, and his enemies rejoiced and started to gossip about him. David writes, “My enemies say of me in malice, ‘When will he die and his name perish?’ Whenever one comes to see me, he speaks falsely, while his heart gathers slander; then he goes out and spreads it abroad. All my enemies whisper together against me; they imagine the worst for me, saying, ‘A vile disease has beset him; he will never get up from the place where he lies’” (Psalm 41:5-8). David has not done anything shameful here, but his enemies are two-faced and come in and say, “Oh poor you.” And then they spread the bad news that he’s going to die. Have you ever had this one happen to you? People are saying, “He’s going to lose his job. He’s not going to make team. She’s going to get kicked out of school. Her husband is going to leave her. They’re going to lose their house.” And so on. Gossip can be bad news that is projected for someone else. By definition, gossip happens when the person you are talking about isn’t there. That’s one of the things that makes it gossip. A whisperer, a gossip, is someone who talks about you behind your back. And that’s intentional. It’s much easier and more interesting to talk about someone who isn’t there. So we have to ask ourselves the question, “Would I say this if he were here?” Would I receive this bad news about her in the same way if she were here? That might show you whether or not it’s gossip. Now, that doesn’t mean that we can’t ever talk about people who aren’t present. We certainly can say GOOD things about people who aren’t here. Let’s turn gossip around and spread good news about people! But sometimes we have to talk about people who aren’t present. And even to share bad things about them. Parents have to do that. Teachers have to do that. Elders and Pastors have to do that. Even friends and teammates and co-workers and neighbors have to do that sometimes. There is a whole biblical category of warning others that we have to do. I heard about a Christian couple who tried really hard to resist gossip. They wouldn’t talk about someone who wasn’t in the room. Nothing. Not even a positive word! Sometimes we have to get some counsel from someone about our problems, and that involves sharing about the shameful things someone else has done without them there. It’s not gossip to truly seek out help. But the key is to keep loving them even when you have to talk about them. Even if they are your enemies. We’ll talk more about this in a few weeks when we start to get really practical. But it’s just applying Jesus’ “golden rule of thumb” to a difficult situation. If you have to talk about someone when they are not there, make sure that you are treating them like you would want to be treated if you were the person that wasn’t there. Because sinful gossip is clandestine. It is bearing bad news behind someone’s back. #3. OUT OF A BAD HEART. Because that’s where ALL bad words come from. Whatever our hearts are full of is what will come out of our mouths. The heart is the control center of the person. It’s the inner you. The real you. The heart is the worshiping core of a human being. And it’s out of the heart that we live. We live out of our hearts. Our hearts are where our motivations form. And, I believe that our sinful motivations for speaking or listening is what makes sinful gossip sinful. So, the most important thing about gossip is where it comes from. WHY am I attracted to this bad news? Because of something going on in here. And we are attracted to those choice morsels because of something already wrong in our inmost parts. Can you think of some bad motivations, some icky things going on in your heart that might lead you to gossip? Come back next week, and we’ll talk about it. Because it’s more than just jealousy and revenge. Those are the ones that come quickly to our minds. And we’ll talk about them. Malicious gossip is almost always about jealousy or revenge. Anger. But sinful gossip is bigger than malicious gossip. There are other motivations, others things that can drive us towards gossip than just those. A desire to be entertained. Idle gossip is also sinful gossip. And, my personal temptation is pride. I am tempted to gossip to show that I am “in the know,” that I’m in the inner circle. A real someone! Next week, we’ll look at several different heart motivations that need to be confronted by the gospel of Jesus Christ so that we can truly change and resist the temptations to gossip. Because it’s not so easy. Often the battle is down at a core level, at a heart level. But it is possible to win. Jesus Christ has made it possible by dying on the cross to save us. By coming back to life to give us power to live a holy life. And by sending His Spirit to apply His promises to our hearts. Is it centered on Jesus Christ who lived and died and lived again for you? Or is your heart swallowing the icky candy of sinful gossip? The only sure way for us to resist gossip’s lure is to have a heart that is full of worshiping Christ. That is full of Jesus, that is feasting on His delicious words. A heart, an innermost being, that is full of Jesus. Now, Proverbs 26:22 is just a warning. It doesn’t tell us how to resist those choice morsels. Just that we need to. And now that we’ve got a biblically informed definition to recognize gossip, we can begin to think better about gospel strategies for saying no. For being up front and loving those we talk about and talk to. And for having a changed heart that loves God and loves people. It’s important to know that it is possible to resist gossip. Hear this promises from 1 Corinthians 10:13. Okay, gang, ready for another gossip game? "The Big Mo - Motivation." Can you give a sentence or even a word for a possible motivation for sinful gossip? I'm hoping to compile about 25 of these. The best of them (or categories that summarize them) will find their way into a sermon next Sunday! I've grown to hate footnotes. One of the most frustrating parts of working on this doctoral project is the "detail" work of getting everything that I write into the proper format. I value getting things like that right--and Westminster has a great ministry on campus that helps students with their theological writing--from the organization of thought, to word choice to...footnotes. I've finished chapter 2 of my project on resisting gossip: "Biblical and Theological Foundations," but I've been hampered in turning it in to my adviser because I haven't gotten all of the footnotes into the proper format (all 104 of them). The frustrating part is that I can't figure out what the proper format is. 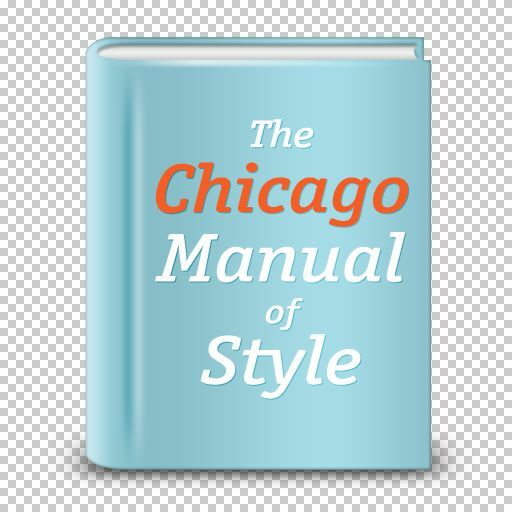 The seminary offers a style sheet which says to use Kate Turabian's handbook on the Chicago Manual of Style (CMS). Simple enough. However, in the field of biblical studies (of which my field of biblical counseling overlaps), we're supposed to use some formatting guidelines from the Society of Biblical Literature (SBL). Okay. But, it seems to me that Turabian and SBL don't always agree. The helpful folks at WTS have my questions and are going to help me get answers in due course, but in the meantime, I've been pulling out what little remains of my hair in trying to solve these footnotal conundrums. On one hand, it's not that important. It's just footnotes. If that's the worst thing that ever happens to me, then I've got it pretty easy. On the other hand, I want to do it right, and I want to get it done, and these footnotes are in my way! I'm glad you asked. He is using this for my good. Like a piece of sand in the shoe that causes you to slow down at just the right moment, or like a fiery trial that burns off the dross and leaves the precious gold (1 Peter 1), or like a footnote that causes you to call out to God for "HELP!!!!!" God is in the details. After a couple of weeks off for vacation and catching up from vacation, I go back into my writing lair tomorrow to try to beard the gossip dragon. I'm going to ignore the footnotes and format questions and get to work on chapter 3 "Historical Precedents and Current Cultural Conditions" and map out the sermon series on resisting gossip that I will be starting this Sunday. I'll also be prepping to teach on resisting gossip to a bunch of high schoolers at the Christian School in Clearfield on Wednesday. This is the 66th message in this series, started way back in September of 2009. Sixty six messages! Now, you might be wondering, after all of that, what’s next? Well, pray about that. 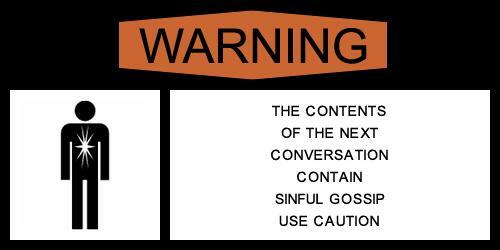 Starting next Sunday, Lord-willing, I’m going to start a short series on Resisting Gossip. 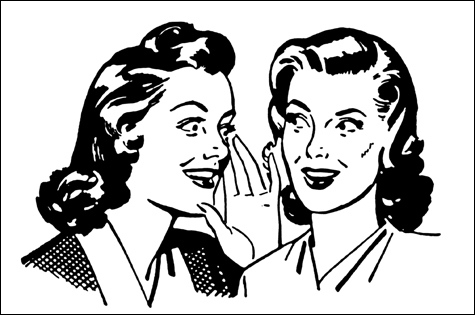 So the next several weeks–I promise not to go 66 weeks on gossip! More like 8 weeks–I’ll be teaching what I’ve been learning in my study for my doctoral project. So, if you’re interested in gossip [especially resisting it! ], then come next week for the first sermon in that series. That’s been the title of the whole series. It’s the title of today’s message. And it was the title of the first message in the gospel of Luke. And that’s exactly what we have been receiving as we’ve studied Luke’s gospel account together–the certainty of what we’ve been taught about Jesus. What kind of people He loved. What He wants for His followers. What He wants from His followers. What happened to Him that crucial last week. And How He came back to life. Now, in one last message, we want to solidify our certainty even more. Our story for today happens right on the heels of the last story. I think it takes place on that first Resurrection Sunday. The same day as the first 35 verses of chapter 24. The first day of the week. The Sunday that Jesus came back from the dead. Remember what learned in the first 12 verses of chapter 24? The women returned to the tomb and it was empty! And so they ran to the disciples with the story, but the apostles didn’t believe them. Peter and John ran to the tomb but was empty, and Peter, especially, didn’t know what to make of that. But then two disciples encountered Jesus on the road to Emmaus (verses 13-35). Jesus wasn’t recognizable at first. But He explained to these two (Mr. and Mrs. Cleopas?) from the Old Testament how the Christ had to suffer and then enter His glory. Then Jesus disappeared and those two headed back to the disciples again. And look at verse 33. #1. CERTAIN THAT JESUS IS ALIVE AGAIN. This is a great passage! Certain that Jesus is Alive Again. Notice how Jesus is concerned to prove that He is alive to convince His disciples, to assure them, to reassure that He is actually and in fact alive again. Jesus wants us to be certain of His resurrection. Are you certain of Jesus’ resurrection? It makes all of the difference. I remember two different times in my life when I became convinced of the resurrection and it totally changed my life. One time was in High School. And the other was in college. That second time was part of a crisis of faith for me. Did I really believe all of this Jesus stuff that I’m learning at Bible College? And I came back again and again to the evidence for the resurrection of Jesus Christ as a historical factual genuine objective actual reality. Jesus is alive. Luke 24 really happened. These disciples could hear Him, see Him and even touch Him. And He ate with them in their presence. It’s not a metaphor. It’s real. A few weeks ago on Resurrection Sunday, Kelly Beck talked about two books that she and Tim read as they grew in their certainty about Jesus. One was the Reason for God by Tim Keller. A very good book. The other was this one, The Case for Christ by Lee Strobel. If you have questions about the resurrection of Jesus, this is a good place to get answers. Jesus wants you to be certain that He is alive again. And He didn’t just give physical proofs. He gave scriptural proofs. Verse 44. Jesus is saying that His resurrection isn’t just a physical fact, it was a prophesied event. God promised it and kept His promise. V.44 again. That’s shorthand for the whole Old Testament. Last time, we were in Luke together, we turned to the table of contents and thought out loud about how all of the Old Testament pointed to Jesus and His death and resurrection. Jesus wants His disciples (you and me) to be certain that He is alive again. But if you aren’t certain, then it’s hard to sing that song. Because I’m Not Certain, I Can’t Face Tomorrow. Because I’m Not Certain, I’m Consumed with Fear. Life Isn’t Worth the Living, Just Because I’m Not Sure. It’s okay if that’s you right now. But I don’t want to see you stay there. And more importantly, God doesn’t want you to stay there. God wants you to be certain that Jesus is alive again. So you can face tomorrow without fear. And so that you can testify about Him to others! #2. CERTAIN THAT JESUS HAS SENT US ON A MISSION. Look at verse 46 again. That Pennsylvania part isn’t in there. I added that. Jesus’ death and resurrection and the repentance (the turning away from sin) and forgiveness of sins that come from that death and resurrection must be preached in Jesus’ name to all nations–and that includes right here. You disciples are supposed to serve as witnesses, telling others what you have seen and experienced with Jesus. It’s your job. Luke wants us to be certain that Jesus has sent us on a mission. That the coming of the Holy Spirit, the promise of the Father, being clothed with power from on high. And you know what? That’s exactly what happened. They waited and then the Spirit came and they got bold as witnesses and the church was born and the gospel got preached beginning in Jerusalem and going to all the nations including this nation! He’s talking about the book of Acts and beyond. The book of Acts was also written by Dr. Luke. You might call it, “Volume 2" in Luke’s account. Volume 1 was the Acts of Jesus. Volume 2 is the Acts of Jesus’ Apostles, or more accurately, the Acts of the Holy Spirit in and through Jesus’ Apostles. I think that we’re going to study the book of Acts starting in the Fall of this year. I’m not sure on that yet, but that’s my tentative plan right now. So think of Luke 24 as a trailer of coming attractions. Coming soon to a pulpit near you! The Book of Acts when the disciples got clothed with power and began to live out their great mission. Here’s why I see us doing Acts starting in the Fall. I’m certain that Jesus has sent us on a mission. Not all of us are cross-cultural missionaries like the ones we support back there on the wall, but all of us are sent-ones–missionaries, people on a mission for Jesus. Well, if you are, here’s a great thing to know. In verse 49 Jesus tells the disciples to wait for the Holy Spirit before they get busy with their witnessing. But you and I don’t have to wait. The Spirit is already here! We can’t do it without Him. We just need to get busy. How many here, raise your hands, spend most of your time with unbelievers or people whom you are not sure whether or not they are followers of Christ? I spend most of my time with you–followers of Jesus. Sometimes, I’m sure, you think of me as a missionary, your missionary to the West Branch Area. And I’m supposed to be one as all Christians are. And I try to be faithful to that calling. But I think of YOU as being the missionaries here in this church. I’m your shepherd. You are the missionaries! You need to tell others about what Jesus has done for you. You need to tell others that Jesus is alive again. You need to be His witness here in our community for Christ. Certain that Jesus has sent you and me on a mission! Let’s get busy sharing Jesus with others. What opportunities do you have this coming week to share Jesus with someone? I’m certain that Jesus is sending us out there this week be His witnesses. #3. CERTAIN THAT JESUS IS WORTHY OF OUR WORSHIP. In verse 50, Luke fast-forwards us about 40 days. You know, when I think about the ascension of Jesus, I tend to think that I would be depressed that Jesus was leaving. “There He goes leaving us behind. Jesus was blessing them and as He blessed them. And He was speaking words of blessing on them, He left them and was taken up into heaven. It’s not just a departure. It’s an arrival. And it didn’t depress His disciples. The book ends where it started. In Luke chapter 1, it starts in the temple with Zechariah finding out that his son, John, would be the forerunner of the Messiah. And now, the Messiah has come, died, come back to live, and gone to heaven to be worshipped forever with great joy. Certain that Jesus is worthy of all of our worship. With our lives and now with our voices. Let’s do all of the verses. And let’s pretend that we just saw Jesus ascend to heaven. And we are filled with joy and worship Him and praise God. Certain that Jesus has sent us on a mission to be His witnesses right here. And Certain that Jesus Is Worthy of All of Our Worship. [Matt's Messages] "Mom Can Do Everything!"